A workshop on planets in binary stars was organized on Monday 27th of March 2017 in Berne. The organizers were composed of 4 members or associates of the NCCR PlanetS, Sebastian Daemgen (ETHZ), David Martin (UNIGE), Stéphane Udry (UNIGE) and Natacha Brügger (UNIBE). The main goal of the workshop was to reunite all the scientists having interest or working on the subject of binary stars. The program gave the opportunity to have review talks, more specific talks and time for discussions between the participants. The review talks aimed to summarize what is known about planets in binaries, on the observational side and on the theoretical side. 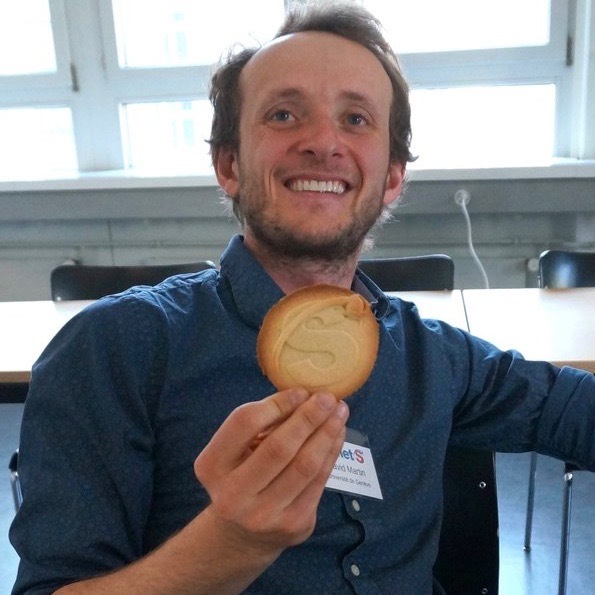 The latter was covered by the main guest of this workshop, Willy Kley (Tübingen), who presented his theoretical work on circumbinary planets and discs. The observational review talks were presented by Sebastian Daemgen and David Martin, who covered circumstellar planet observations in binaries and circumbinary planet observations respectively. Planets and stars made by PlanetS members Thibaut Roger and Janine Jungo. The specific talks covered subjects like spin-orbit resonances in binary stars (A. Leleu), the Stellar Double Coronograph (SDC) (J. Kühn), direct imaging of a cold brown dwarf (A. Cheetham) or SPHERE circumstellar disc imaging (H.-M. Schmid). This allowed to have a more precise idea of which subjects are covered by members of the NCCR in the terms of binaries. Two sessions were also planned for discussions. The first one was focusing on the main questions of exoplanets in binary stars and the second one was used to discuss strategies and actions about them. Questionings like: “How does the circumbinary population differ to that around single stars?”, “How do we detect low-mass circumbinary planets?”, “What is the timeframe of planet formation?” or “How does the ice line look in discs in binaries?” came up. They were then separated into five themes: architecture of systems, atmospheres/habitability, formation of planets, discs and numerical simulations. Using these themes and the interrogations they gather, the participants concluded that binaries is a subject that needs collaboration between the different members of PlanetS. The interdisciplinary skills the NCCR possesses is a great opportunity to combine the efforts and move forward with the knowledge on this subject. 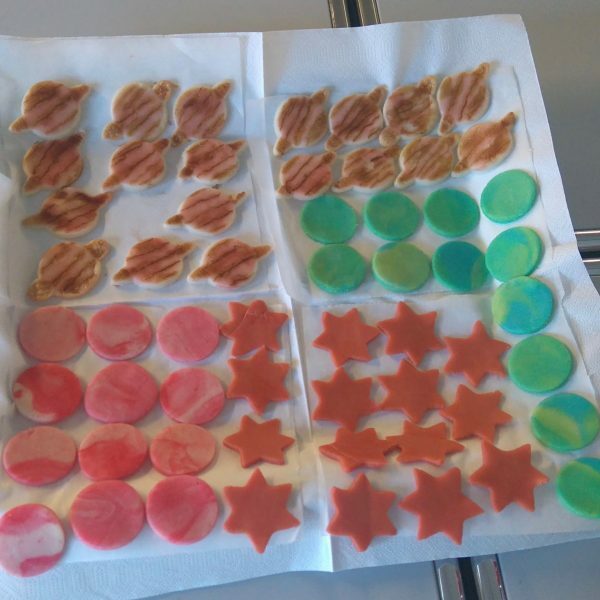 The organizers were pleased to make people think and discuss about planets in binary stars and everybody appreciated the delicious planets and stars served during the break. A second workshop on the same subject may see the light of the day.